After practicing dentistry for 7 years in California, Dr. Karen relocated to Sarnia with her family. In 2014 she joined Dr. John Milne and team. During the first year in Sarnia, Dr. Davis continued her studies back in Scottsdale, successfully completing Level 2 CEREC Mastery-Rapid Integration, Level 3 CEREC- Provisionalizing & Restoring Implants and CEREC Orthodontic Certification. In 2016 Dr. Karen attended TIDE (The institute for Dental Excellence) and University of Toronto completing the Implant Residency Program over the course of the year, along with Advanced Therapy Botox Training. Currently, Dr. Davis has finished up her studies regarding Narrow Body Mini Implants through Dentatus CDE Institute in NYC. Dr. Davis’s particular areas of emphasis are in cosmetics, implant dentistry, Botox therapy and restorative. Dr. Davis provides her patients with the most advanced, comprehensive dental care available today. A member of the Ontario Dental Association, Academy of Osteointegration, International Congress of Oral Implantology, Canadian Dental Association, American Dental Association (1996-2011), San Fernando Valley Dental Association (1996-2011), Academy of General Dentistry (1996- Present). Dr. Karen Davis is proud to be the recipient of a prestigious Fellowship award presented by the International Congress of Oral Implantologists (ICOI). Standards of the ICOI Fellow designation program require award recipients of the highest caliber, involving proof of extensive experience in completing implant procedures, restoration of implants and/or fabricating implant prostheses. 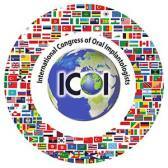 Established in 1971 as a non-profit dental implant education organization, the ICOI assists dentists in continuously advancing their knowledge of implant dentistry by supporting numerous international and U.S. symposiums annually. In addition, the ICOI also sponsors a U.S. and World Congress meeting each year to present recent prosthodontic and surgical implant issues demanding the most attention. Dr. Parker and other members of the International Congress of Oral Implantologists also receive publications intended to improve their professional practices while keeping them updated on cutting-edge clinical and research discoveries in the field of dental implantology. Credentialing programs recognized by the ICOI include the ICOI Diplomate status, the IPS Mastership status and the ICOI Fellowship status. Members participating in one or more of these programs must satisfy certain requirements before receiving their awards, including completing oral interviews, taking written examinations, providing documentation of successfully finishing implant instruction and reviewing their dental implantation cases. Listed of 20 completed implant cases. All of which must be at least (one) 1 year old from implant placement. Documentation providing completion of at least 100 hours of implant education in the past 5 years. Letter of recommendation from any current ICOI Diplomate, IPS Master, ICOI Fellow or from a member of the ICOI Advanced Credentials Committee. As an award recipient, Dr. Karen Davis must attend one or more IPS/ICOI co-sponsored or sponsored meeting every three years. She must also accumulate at least 100 hours of dental implant education in five years after receiving his ICOI Fellowship award. What ICOI Certification Means for Dr. Karen Davis’s Patients! ICOI Fellows are committed to raising the bar not only for their own practice and services but for the implant dentistry industry worldwide. As an award recipient, Dr. Davis is now recognized as a highly qualified implant dentistry practitioner. Because of her determination to provide excellent implant dentistry services to patients and commitment to establishing herself as an expert in the field, Dr. Davis’s skills make our office among the top dental practices in the region. If you are looking for a highly qualified and well established dental office providing implant dentistry in the Sarnia area, Dr. Karen Davis Dentistry is the place for you! We provide a range of services, state of the art technology and you can put your trust in our experienced team to take care of all your needs! To schedule an appointment with Dr. Davis, please call today at 519-542-8876. Outside of the office, Dr. Davis enjoys spending time with her two sons, Julien and Rhys. They both keep her busy travelling with hockey and soccer year round! Born in Montreal, Dr. Karen Davis graduated from University of Guelph with an Honours Bachelor’s degree with specialization in Human Kinetics and a Master of Science degree in Human Biology. Dr. Davis received her dental degree in 2006 from the Herman Ostrow School of Dentistry, University of Southern California. Upon graduation she also received the Bernard Levin Award as the top student in Removable Prosthodontics, as well as the overall Top Senior Dental Student Award. In addition to her formal training, Dr. Davis has completed hundreds of hours of continuing education over the past years, maintaining herself on the cutting-edge of dental technology. In 2007, she completed an executive MBA and became a certified premier Invisalign® provider. Most notable was her contribution as a chief beta tester in the technological aspects of CEREC® (crown in one visit) computer aided-computer-designed dental software and as a clinical CEREC® mentor at the Scottsdale Center for Dentistry in Scottsdale, Arizona.